Diuretics remove fluids from the body through urination. They help rid the system of excess water and toxins and are often used in the form of prescription drugs or over-the-counter medications. But there are natural diuretics that achieve the same effect, and some people believe they work better. Cranberry juice is among them. One advantage is that it does not deplete the body of potassium, which prescribed diuretics often do. Cranberry juice also does not have the side effects of some medications. Researchers have found that the cranberry has specific compounds that prevent harmful bacteria from sticking to cells in the urinary tract, according to the National Institutes of Health. Some scientists believe cranberry juice may help treat ulcers and gum disease by flushing away bacteria. Cranberry juice is full of antioxidants, fiber and vitamins. It is high in vitamin C and can boost your immune system. Drinking cranberry juice has been known to treat and prevent urinary tract infections and other bladder and kidney infections. 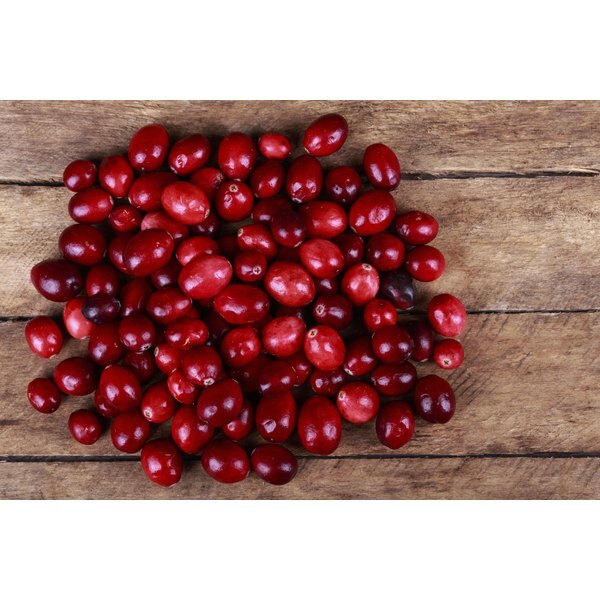 Cranberries contain certain acids that prevent kidney stone development. Minerals in cranberries can help rinse the body of infections caused by the E. coli bacteria. The juice may also reduce urinary odor and burning sensations. Many women, especially older ones, are at high risk for urinary tract infections. Although antibiotics are often used in the treatment of these infections, their side effects include yeast infections and diarrhea. Cranberry juice has been found to prevent urinary infections without these side effects. Health experts recommend drinking a glass of unsweetened cranberry juice to clean your system of preservatives in food and beverages, which can increase your risk for urinary tract infections. Many researchers believe that cranberry juice is more effective in preventing infections than in treating them. Cranberry juice helps to prevent damage that follows infections, such as problems around openings of the skin and urinary calcium excretion, which can have painful results. If you don’t like the taste of this juice, mix it with other fruit juices or dilute it with water to get its benefits. Are There Fruits That Help Bladder Infection?